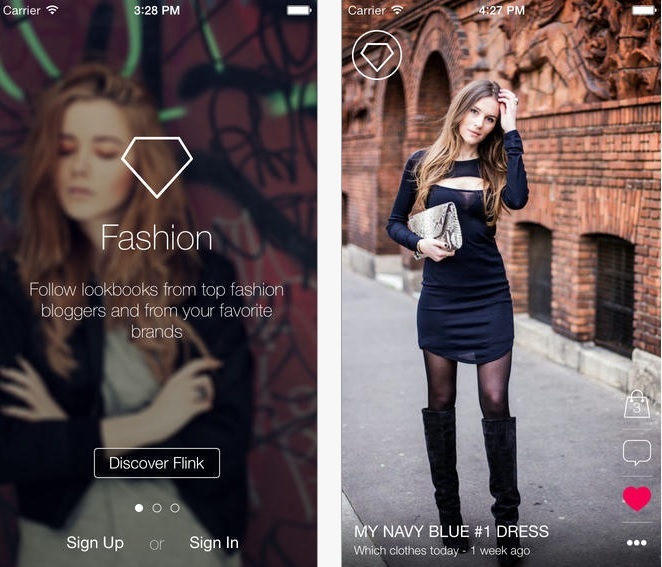 These hot fashion apps will let you shop straight off the runways or track a coveted item until it goes on sale. 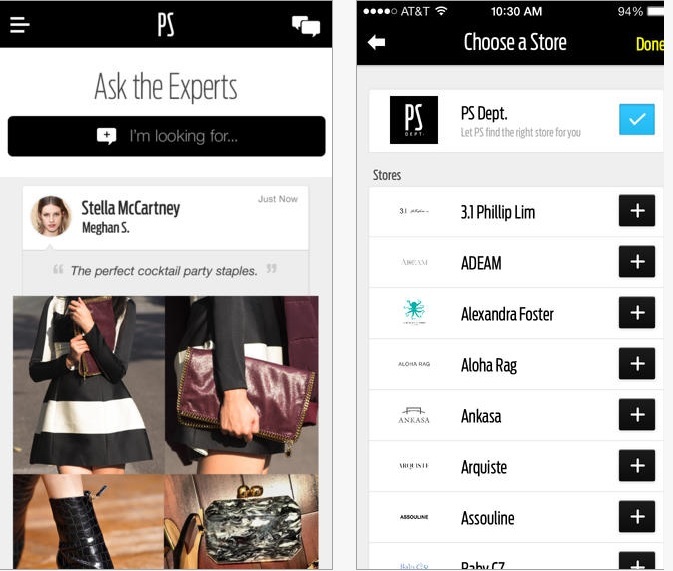 If you’re trying to track down a certain handbag that got away or a dress in your long-lost size, simply pull up the PS Dept app on your smartphone. 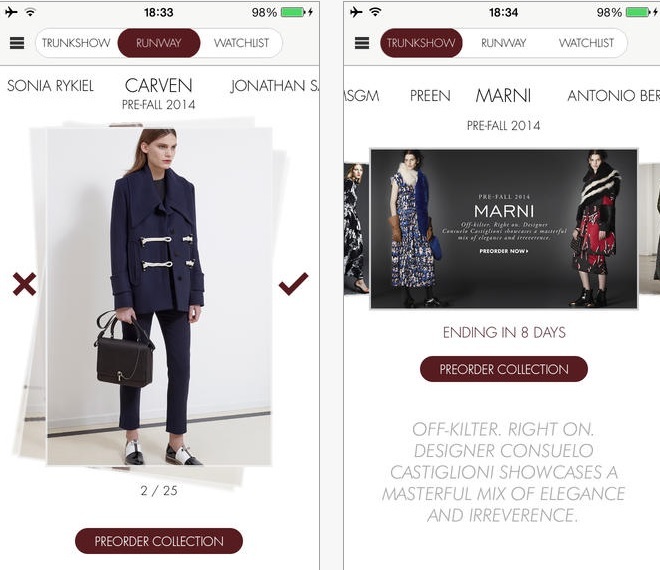 Standing for Personal Shoppers Department, the PS Dept app is your direct line to expert sales associates at such labels as Stella McCartney, Michael Kors and Bergdorf Goodman, who can help you find and purchase the item you want. Free shipping and returns are an added bonus. Shop your favorite looks straight off the runway as you take a virtual front-row seat at New York, London, Paris and Milan Fashion Weeks. Swiftly swipe and save looks to your Watchlist and receive prompt notifications when those coveted items are available for preorder. Flink Be inspired in a flink – or, fashion’s version of a “blink.” Follow and scroll through more than 700 fashion blogs from international style influencers, like Garance Doré, Absolutely Glamourous, Mercredie, le blog de Lilou, Modasic and more. Pin your favorite looks on the Filiboard and share your inspirations with friends via connected social media tools. 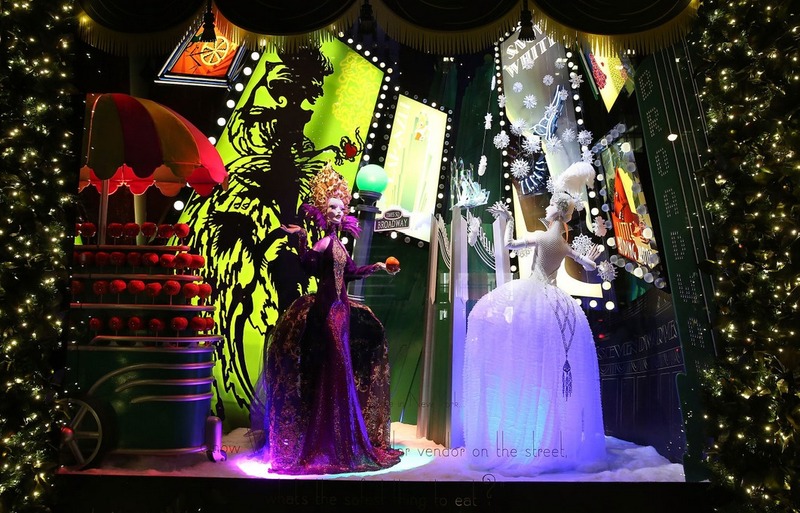 Next time you’re virtually window shopping and come across an item that you love but can’t muster to purchase full price, track – or Hukk it – until it goes on sale by using Hukkster. 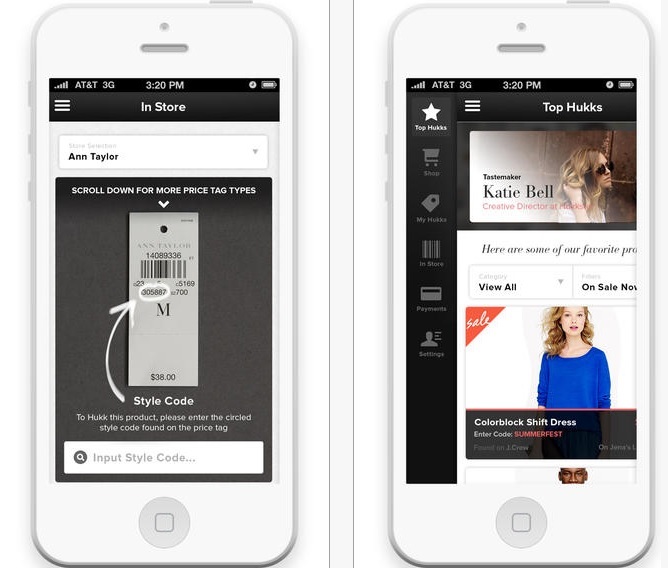 The ingenious app lets users select any covetable full price retail product online and sends alerts when it goes on sale.